Crownsville is a small town in Anne Arundel County, MD, that hosts many events to bring its community members together. At MINI of Annapolis, we like to welcome locals with open arms and have them leave in their perfect MINI Cooper. Discover more about the town of Crownsville, MD, and how our dealership proudly serves its residents. Download today to receive special offers! The town of Crownsville, MD, offers a beautiful waterfront scenery with many business and several annual events. Two of the big events they host every year are the Anne Arundel County Fair and the Maryland Renaissance Festival. Visit either for lots of food, rides, games, and an overall fun time. When there aren’t any festivals going on, the townspeople like to eat at the local restaurants. There’s Bean Rush Café, which has local and fresh coffees, sandwiches, and baked goods. And for some tasty coastal cuisine, there’s Lures Bar & Grille. Their Crab Cake Sandwich is yummy, and you can get a flight of beers if you can’t decide on one kind. Since there’s lots to do in and near Crownsville, MD, you’ll need a reliable vehicle to get around. You’ll find that at our Crownsville area MINI dealer, where we have plenty of models to choose from. When searching for the right automobile, it pays to have lots of options. Our MINI Cooper dealership near Crownsville, MD, carries plenty of new MINI Cooper models. If you’ve had your eye on the MINI Cooper Clubman ALL4, the MINI Cooper S Hardtop 2 Door, or the MINI Cooper S Clubman, you’re in luck. We have those, and more, in our inventory. 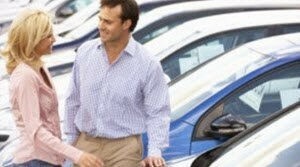 We also have lots of used sedans, SUVs, and trucks, as well as certified pre-owned MINI Cooper models. Additionally, we have a friendly team who will answer your questions and guide you to the new or used car that’s best for you. When you’re ready to drive home in a new MINI Cooper, talk to the experts at our finance center near Crownsville, MD. Our financers have years of experience helping drivers land the MINI Cooper they want with a payment plan they can feel happy about. They’ll work with you one-on-one to determine your budget. Then, they’ll reach out to local banks and lenders to get the terms that work best for you. Before you visit our finance department, you can fill out our brief and protected online finance form to get pre-approved. To keep your MINI Cooper lasting the miles and years, be sure to take it to our service center near Crownsville regularly. Whether you need a simple oil change or tire rotation, or a more complex body repair, our technicians have the skills and knowledge to take on any type of job. And they use only genuine MINI parts to get your vehicle to like-new condition. Plus, we have a maintenance program to keep your vehicle in tip-top shape. Our MINI Complimentary Schedule Maintenance program comes standard with every new MINI Cooper. It covers the recommended scheduled maintenance for up to three years or 36,000 miles, whichever comes first. You can schedule service online today. Simply fill out some information about your vehicle, and pick a date and time that’s most convenient for you. We’ll get back to you as soon as possible to confirm your service appointment. 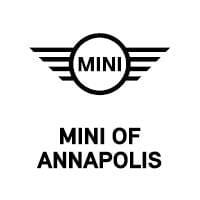 At MINI of Annapolis, we’re more than happy to help you pick out, buy, and maintain your MINI Cooper. Contact our team today to get started.